If you are looking for the most spacious sedan in the Rs. 7 lakh – Rs. 12 lakh price range, here are your options. Small car buyers who are looking to upgrade to a sedan, have lot of models to choose from in the market today. However, with lots of options, it is increasingly difficult for the buyer to choose the best car that fulfils his/her needs. CarToq has picked the top three sedans with maximum interior space for those who primarily need a spacious sedan. The Sunny offers loads of space on the inside, thanks to its long wheelbase and intelligent design. If there is one sedan with phenomenal rear seat legroom, it is the Sunny. With the rear seat height set a bit low, the headroom is sufficient even for tall occupants. The rear seat passengers will also feel comfortable as they get a rear comfort fan which circulates air-conditioned air and helps cool the rear of the cabin. The Sunny comes with a luggage space of 490 litres. 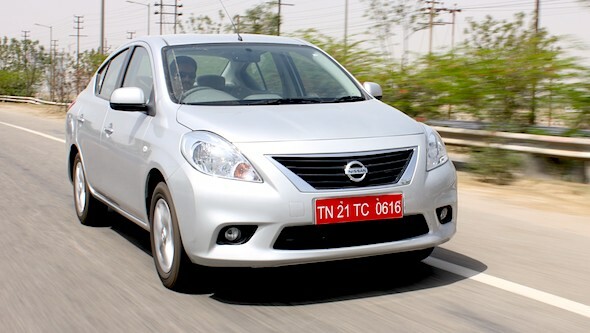 Also read: Nissan Sunny XL vs. Maruti Suzuki Ertiga ZDi: Buy the sedan, or the mini-MPV? The Sunny petrol is powered by a 1.5 litre motor that produces 98 Bhp of maximum power and 134 Nm of maximum torque and returns an ARAI-certified fuel economy of 16.95 Kmpl. The diesel version is powered by 1.5-liter, 4-cylinder K9K engine that churns out 85 Bhp of power and a maximum torque of 200 Nm and returns an ARAI-certified fuel economy of 21.6 Kmpl. The top-end variant XV comes with features such as dual front airbags, ABS with EBD and BA (Brake Assist), alloy wheels, fog lamps, electric folding mirrors and an intelligent key with push button start. The City may look compact on the outside, but is spacious on the inside. The front seats of the City offer sufficient legroom, headroom and shoulder room. When it comes to rear seat comfort, the City has class leading width and sufficient headroom even for tall passengers. The rear seat can easily accommodate three passengers as there is sufficient shoulder room and legroom. The City also offers 506 litres of luggage space. The only drawback that City has is the lack of a diesel engine. The City is powered by a 1.5-litre i-VTEC petrol engine that puts out 116 Bhp of power and is mated to either a 5-speed manual transmission (MT) or a 5-speed automatic transmission (AT). The City returns an ARAI-certified mileage of 16.70 Kmpl (MT) and 15.50 Kmpl (AT). Also read: Is the Fiesta Ambiente more value for money than the City Corporate and the Vento Trendline? The top-end variant, V AT (Sunroof) priced at Rs. 10.43 lakh, comes with cruise control and electric sunroof apart from standard features such as dual front airbags and ABS with EBD. 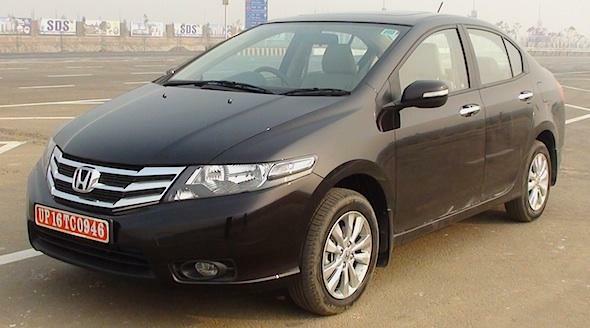 The Linea is a gorgeous looking sedan, thanks to its attractive proportions and aesthetic design. The Linea has interiors that rival even some cars that belong to a segment above it. 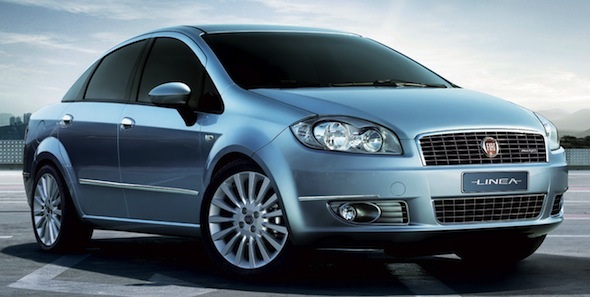 The plush front and rear seats offer excellent all round support and are comfortable during both short and long drives. The Linea also offers luggage space of 500 litres. The 1.4 litre petrol engine of the Linea puts out 88 Bhp and returns an ARAI-certified mileage of 14.6 Kmpl. The Linea petrol is a bit under powered especially when compared to the Honda City and the Volkswagen Vento, but for city runs, the engine’s power is just adequate. The Linea diesel is powered a 1.3-litre MULTIJET motor that churns out 92 Bhp of power and returns an ARAI-certified mileage of 20.4 Kmpl. The Linea Dynamic variant gets all the features such as ABS with EBD, dual front airbags, Bluetooth and steering mounted audio controls. The Emotion variant gets premium leather upholstery, double folding rear backseat and R16 alloy wheels. Now that we have discussed the top three spacious sedans lets take a quick look at how spacious other cars in this segment are. Verna: The Verna offers decent rear seat space, but the seat is set a bit low leading to poor under thigh support for tall passengers. Vento and Rapid: The Vento falls short in terms of rear legroom and the transmission hump eats up the middle passenger legroom, making it best suited for four passengers. The Rapid though offers slightly more legroom than the Vento, still doesn’t offer as much rear seat legroom as the top three sedans (Sunny, City and Verna) offer. Fiesta: The Fiesta’s rear seat is best suited for two passengers because the width is less and hence shoulder room is insufficient for the middle passenger. « Better choice: Custom building an ex-army jeep or buying new Mahindra Thar?